Empowering low-income women by teaching marketable skills & providing opportunities that lead to self-sufficiency, while also enriching children's lives through education. Sewing classes help women learn professional-level skills for use in the workplace. We have recently added more classes, such as English as a Second Language, Beginning Computer & Keyboarding. Adults & children (age 12 & older) are invited to learn how to play the piano or guitar, and how to draw & paint using different techniques, while setting the mind and heart toward prayer. 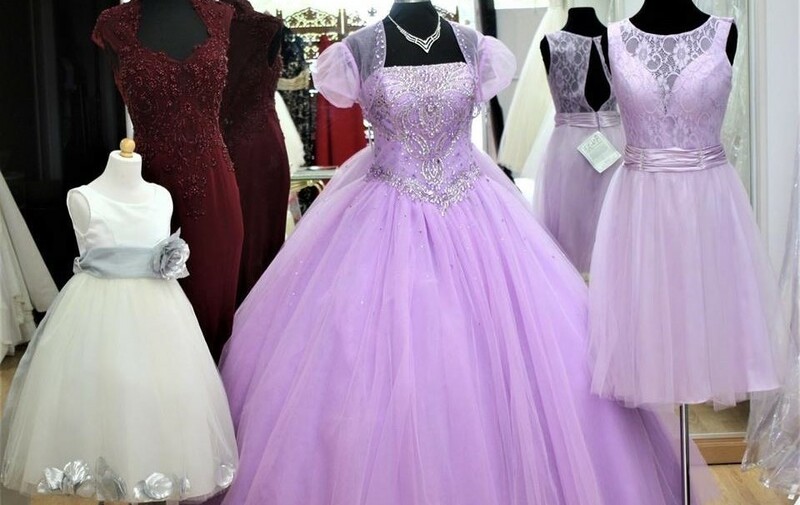 De Marillac Formal Attire is a non-profit retail boutique that sells prom, wedding, quinceanera, and other affordable dresses! It also provides opportunity for our trainees to learn skills in retail, marketing, money management, and more. We strive to empower families with educational resources. We host computer literacy classes so those who have access to those resources can use them to their full potential. Students in grades K-6 receive free after-school help with their homework difficulties, and participate in fun learning activities, such as science experiments, music, art, & more. Our incredible community of volunteers made this amazing place of beauty and serenity a reality! A statue and shrine of Our lady of Guadalupe stands tall, watching over the garden from the South. If you have some time and talent that you are willing to share with us, we are excited to put you to work! You'll not only the change the lives of women and children in your own community, you'll reap incredible benefits yourself. We work to support and empower women and children on many different fronts. Each of these efforts take a great deal of resources, only half of which are covered by our Daughters' of Charity Organization. Please join us in changing lives!